Would it be possible to turn the field test into an app? When you dial 3001#12345# on an iPhone, it brings you to field test, which gives you cellular info and stuff like that. If I got the source code for this, would it be possible for me to turn it into an app using Xcode that I could just open from my home screen. It would be much easier than dialing that every time. 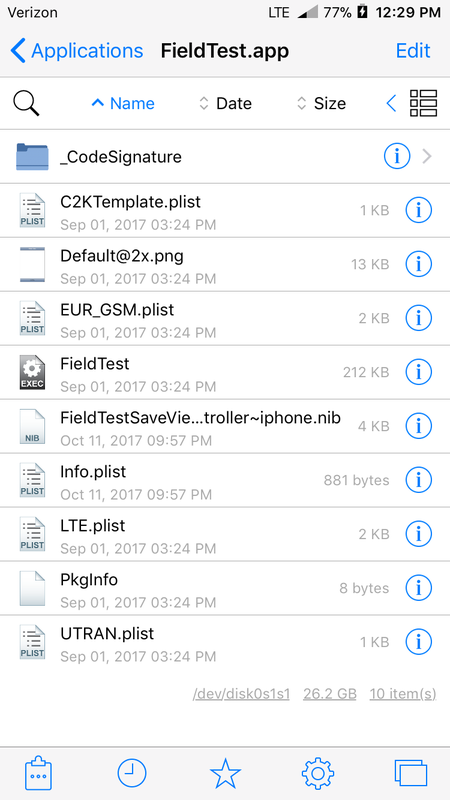 Field Test is already an app: /Applications/FieldTest.app! The app icon is just hidden on the home screen, and the Phone app launches this app. If your iPhone is jailbroken, you can edit the application Info.plist to show the icon on the home screen. In /Applications/FieldTest.app/Info.plist, edit SBAppTabs array to remove ‘hidden’, then run uicache as mobile. Not the answer you're looking for? 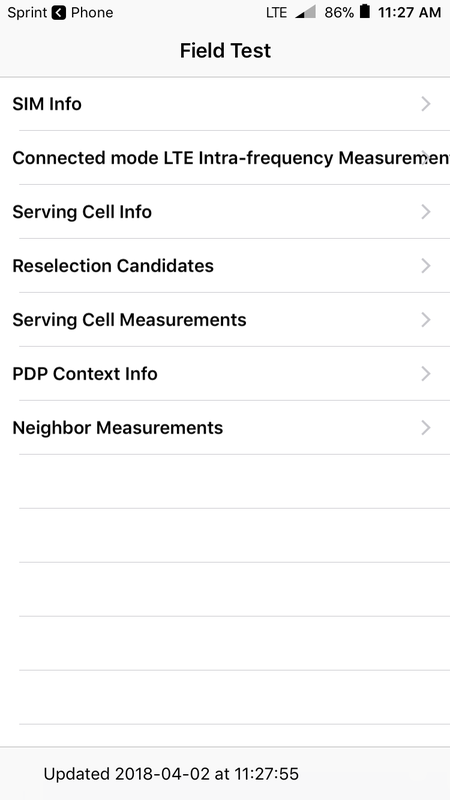 Browse other questions tagged applications xcode cellular-data .